So, first things first: What exactly is the difference between handmade soaps and store-bought soaps? The difference is that handmade soaps are especially formulated with natural ingredients and they contain oils and glycerine to moisturize skin. Store-bought soaps, on the other hand, have their glycerine removed to be used in creams and lotions instead. Simply put, handmade soaps are better for your skin! So, we decided to put together a list of the best handmade soaps that we guarantee are better than all the fancy body washes and bath bubbles you can buy! The Mysore Sandal Soap is an iconic soap. With a 100-year-old legacy, it is something that our grandmothers and great grandmothers used religiously. However, even with all the fancy shower gels and body baths we’ve tried, we can safely attest that this is the best bath product we’ve ever used! 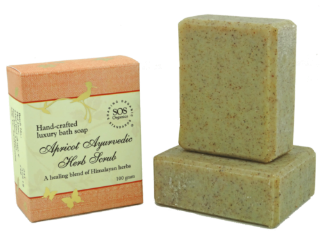 Formulated with real sandalwood oil (which, by the way, is also known as liquid gold) this soap has a lovely fragrance and leaves your skin feeling super smooth. Price: Rs 35. Buy it here. 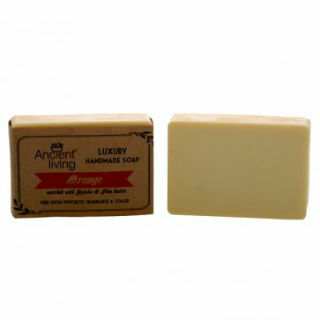 Made with tea tree essential oil, Vitamin E and glycerin, this soap has excellent antibacterial properties. It also comes in this gorgeous green-blue colour that we absolutely love! Price: Rs 150. Buy it here. 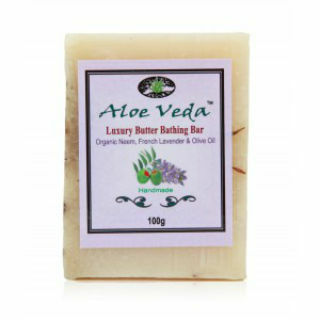 A soap that gently exfoliates your skin while you bathe to make it softer and smoother! We’re sure that you’ll fall in love with this handcrafted soap once you try it. It’s formulated without any artificial preservatives or colours and contains basil essential oil and hand-pounded wild apricots! It doesn’t get more natural than this! Price: Rs 140. Buy it here. These handmade soaps smell divine! Some of us have tried them and we can’t wait to buy them again! They come individually wrapped in a coconut shell case and are placed on a hammered copper tray to make you feel fancy AF! Price: Rs 956 for 3. Buy it here. 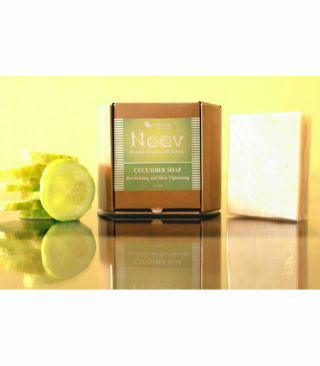 This citrus soap removes pigmentation to give your skin a gorgeous glow! It’s handmade with essential orange oil and jojoba to moisturize your skin. Price: Rs 95. Buy it here. This handmade soap from our favourite natural brand is formulated with amazing ingredients like rose water, honey and aloe vera. Price: Rs 85. Buy it here. 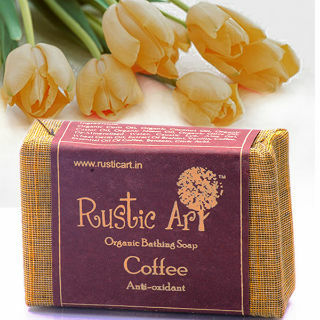 Made with real coffee beans, this soap will help in firming your skin up! It comes in eco-friendly packaging and is completely handmade. We gotta say we love it! Price: Rs 155. Buy it here. 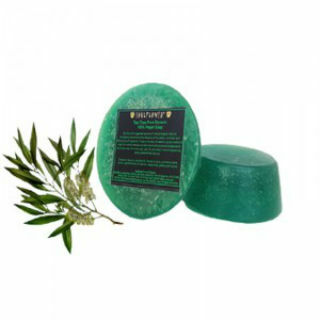 The Oil Cleansing Method is now so easy with this soap that contains olive oil! It also comes with a host of other beauty and health benefits, and we just can’t wait to try it out! What about you? Price: Rs 95. Buy it here. This soap reverses tanning, firms your skin and has a refreshing fragrance. We say you should give it a go if you want clear skin without too much effort! Price: Rs 100. Buy it here. We’ve saved the best for the last. 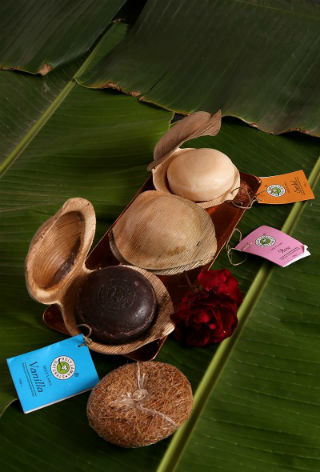 Khadi soaps marked our foray into the wonderful world of handmade soaps and we’ve never looked back. They remain our favourite even today. Their website claims that we won’t find better soaps anywhere else, and we think they just might be right!